1. Fill out the booking form on our homepage or smart phone app with the details of your ride with just a few clicks. Enter the desired pickup location and destination/desired amount of hours, and the vehicle category of your choice. 2. During the booking process you will immediately receive a binding quote for the requested transfer or hourly booking. 3. 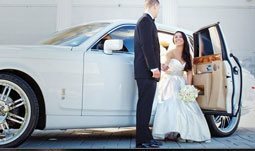 During your first booking with MIAMI UNIQUE LIMO, you will be asked to provide your contact details and preferred payment method. All information can be updated after logging in to your personal account. 4. Immediately after your booking request, you will receive an acknowledgement of receipt. As soon as your ride has been successfully dispatched, you will receive a binding booking confirmation. Once your chauffeur departs to meet you, another confirmation will be sent containing the name and phone number of the chauffeur in case you wish to contact him/her. 5. 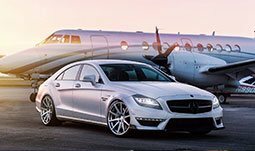 Your chauffeur will pick you up at the desired time and place. You will be informed once the chauffeur arrives at the pickup location. 6. 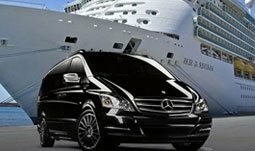 Comfortably, safely and quickly your chauffeur will take you to the desired destination.